The hydraulic forging press is becoming increasingly important to the forging shop. This relatively small machine, which is often hand made, allows smiths to do many of the same operations as a power hammer while adding more control and expanding what one can do with hot metal. 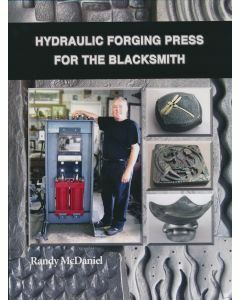 This book covers the history, the how to, and especially the versitility of the hydraulic forging press for the blacksmith and the knife maker. It provides a comparison between the press and other machinery, the different types of presses, which type of press is right for your application and should you build one or buy one, It focuses on tooling that you can make to get the most out of your press and much, much more. 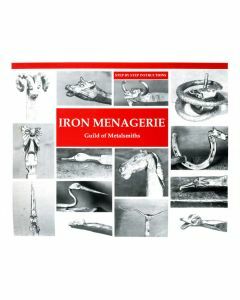 This book explains how to forge fifteen different animal heads. 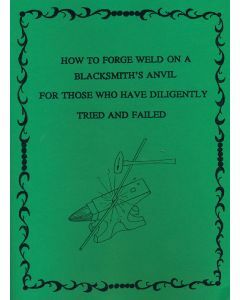 Blacksmith Paul Hubler hammered out all the projects in this book and explains every step in forging animal heads. Iron Menagerie clearly demonstraits every step in the animal head making process so any person with a minimal amount of experience can easily follow the instructions. It was written to fill a need for developing blacksmithing skills in creating decorative fantasy animal heads. 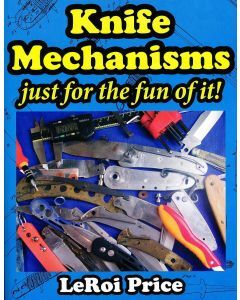 Knife Mechanisms, just for the fun if it! by LeRoi Price offers a guided tour through the internal parts of folding knives. It tells us how they work, what makes them tick, and what makes them click. Create a wide array of chic jewelry - without having to solder or use a torch. 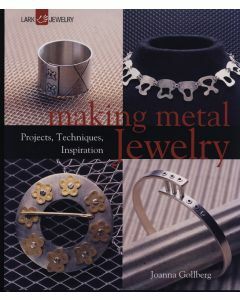 Cold connecting metal is a great way to learn jewelry making because the tools are inexpensive and readily available, and the techniques provide a solid base for all types of metal work. From earrings to necklaces to bracelets, these sophisticated designs will showcase your creativity. 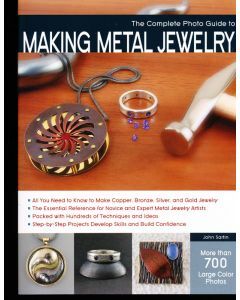 Author and noted jewelry designer John Sartin expertly teaches you the fundamentals and beyond. Try new methods, build new skills, and become the jewelry designer you've always wanted to be. 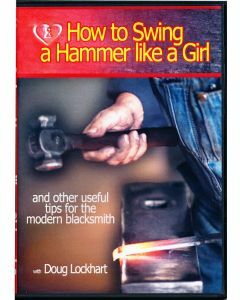 ~ Learn the basic skills of sawing, drilling, piercing, filing, and finishing metal. 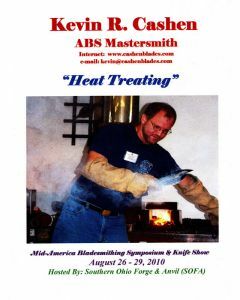 ~ Learn how and when to use cold and hot connection methods. ~ Add texture with roller embossing, retuculation, hammers, and metal overlay. ~ Shape metal and build volume by dapping and forging. ~ Mount gems and stones with bezel, prong, tube, and flush settings.